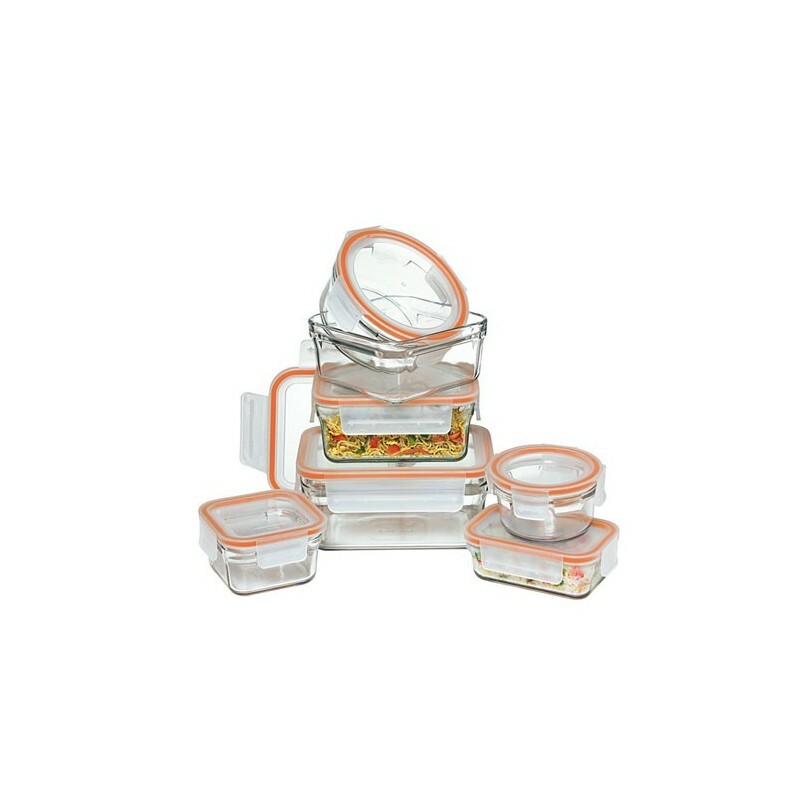 Square, rectangle and round oven safe glass food storage containers with easy clip shut BPA free plastic lid. Rimless design means easier open and close and better to stack together. Pop leftovers in the fridge / freezer without the need to transfer to another container. RRP $195.00. 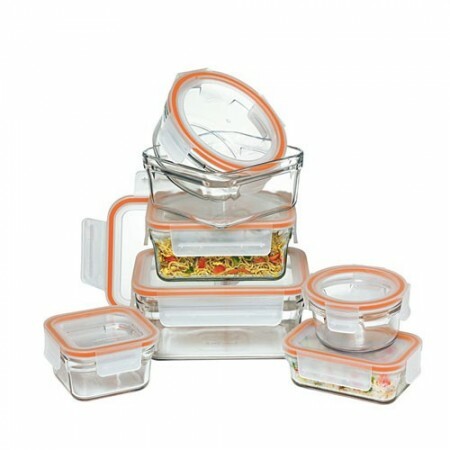 With square, rectangle and round containers in various sizes, this Glasslock set takes care of all storage needs. The durable tempered glass is microwave, oven, refrigerator and freezer safe while the snap-lock lids are airtight and leak-proof so food stays fresher for longer. Base is made from shatter resistant oven safe tempered glass, and the lid is made from BPA Free polypropylene and silicone seal. Smoothly contoured for easy stacking, these attractive containers are odour and stain-resistant, making them the easy solution to keeping leftovers, packing meals and storing ingredients. Rimless design means easier opening and closing. This set is amazing, great choice of sizes with the pack - loving using them everyday, for every occasion.